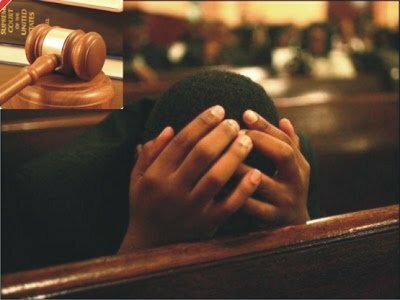 A Jigawa High Court sitting in Dutse has sentenced a 25-year-old man, Zailani Musa to death by hanging for killing two girls at Ribadu village in Gwaram local government area. Justice Ubali Ahmad Taura sentenced Zailani Musa to death by hanging after finding him guilty of killing two sisters in the bush which he admitted before the court. He explained that the accused was charged with culpable homicide contrary to Section 221 of the Penal Code punishable with death upon conviction. “He was found guilty of culpable homicide contrary to section 221 of penal code” he noted. “The court hereby sentenced him to death by hanging, “Taura ordered. The judgment was contained in a statement by the Court Director of Information, Bar. Musa Sani Balagu which was issued to Akelicious in Dutse. He explained that the incident happened in 2017 when two girls namely Hauwa Zakar, 16-year-old, and Aisha Isah, 17 , of the same village went to the bush to fetch animals feeds and meet with the accused suspected to be on drugs who used a hoe to butchered the girls.